The Vienna University of Technology (TU Wien), with 29 000 students and 4700 employees, is the largest technology-oriented university in Austria. It was founded 1815, and has a long-standing tradition with alumni such as Christian Doppler, Joseph Loschmidt, Otto Wagner, even Joseph and Johann Strauss. Today, it is among the top universities in Europe, currently hosting 19 ERC grants (8 in physics). 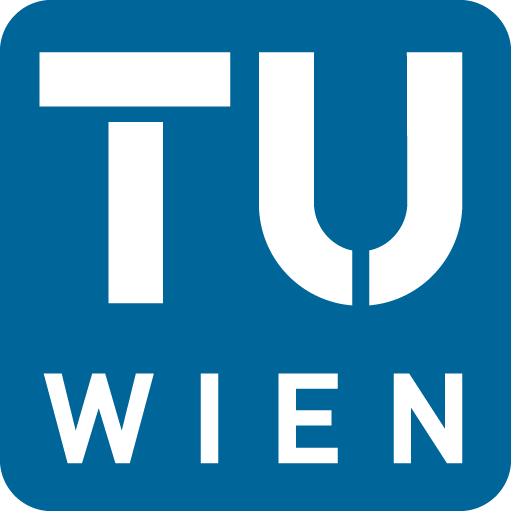 TU Wien offers 53 programs of study in 8 departments. The physics department is subdivided into four institutes, the Institute for Atomic and Subatomic Physics (Atominstitut ATI) being the largest one, founded in 1958. It plays a special role in the Austrian science landscape, hosting the country’s only nuclear reactor and fulfilling important tasks in teaching and training of safeguard inspectors of the International Atomic Energy Agency (IAEA, located in Vienna) and Euratom. The ATI hosts a variety of research groups centered around nuclear physics, atomic physics and quantum optics, with a strong emphasis on quantum effects, laser spectroscopy, and metrology. As such, we are closely collaborating with national metrology institutions, both on the national and international level. The TU Wien contribution to the iqClock will be lead by Dr. Georgy A. Kazakov, who have been working over many years in the Quantum Metrology group lead by Prof. Thorsten Schumm. The Quantum Metrology group is working primarily towards a new type of atomic clock that will use the transition in the nucleus of Thorium-229 as a reference. The Vienna group will contribute into iqClock with development of theoretical models and simulation of the behaviour of superradiant clocks in the presence of various real-life effects, optimization of experimental parameters, analysis and interpretation of the experimental data. Within iqClock the Vienna group will collaborate with the Amsterdam, Copenhagen and Torun groups to design the superradiant clocks, and with the Innsbruck group to build relevant theoretical models. Dr. ​ Georgy A. Kazakov received his PhD in physics in St-Petersburg State Polytechnic University (now Peter the Great St.Petersburg Polytechnic University), Russia, in 2007. In 2010 he was awarded a FWF Lise Meitner grant, project “Atomic clocks with a nuclear transition: theoretical aspects”, and relocated to Vienna, Austria in March 2011, where he performs theoretical studies and proposals, connected to Thorsten Schumm’s experimental activity, among others dedicated to the direct search of the ultraviolet isomer transition in ​ 229Th nucleus, and to the development of nuclear clocks. His background provides him with the crucial experience about real-life problems and needs of experimentalists. Georgy A. Kazakov proposed several methods of replenishment of ensembles of the gain atoms in active optical clocks. These ideas will be implemented and verified within the iqClock project. Univ. 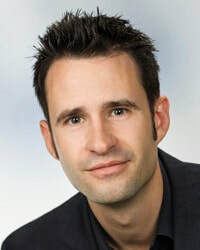 Prof. Dr. Thorsten Schumm is a leader of the Quantum Metrology group in ATI since 2011, and director of ATI since January 2018. He received his PhD in atom optics in 2006 in Universite Paris Sud, France, and University of Heidelberg, Germany (European collaborative thesis) in 2006, and is working in TUW as University assistant in 2006-2011 and as University professor since 2011. He is being or was a PI of several research projects, including EU-FET Open “nuClock” (2015-2019), ERC Starting Grant “Nuclear atomic clock” (2010-2015), and FWF (national Austrian) Start grant “Nuclear Physics with Lasers”. In the framework of this project he will support the team with input on experimental feasibility and technical constraints as well as with the scientific management.